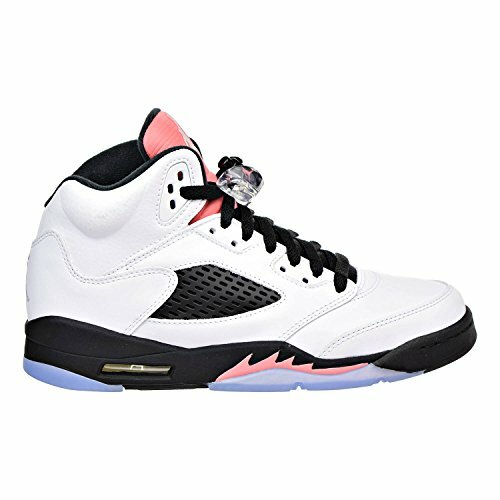 The reincarnated Air Jordan 5 Retro Big Kids' Shoe brings back the translucent sole and legendary design that changed the game. Drawing inspiration from World War II fighter planes, this iconic shoe pays tribute to high-flying hoops style. Genuine and synthetic leather upper. Flex grooves at the outsole for enhanced flexibility. Visible Air for comfortable cushioning. Inner sleeve for a snug, comfortable fit.